Would you like to expand your influence? If you work in medicine, you began your career with a focus on the health and wellbeing of others. Once within a practice, you have most likely discovered that you have varying degrees of influence. It may seem that you have less influence or that your focus has changed to a more financial or less health-oriented focus than you expected when you began your career. Physicians cannot do what they do without the entire team. A doctor can always go back to practicing medicine by going door to door with their black bag. And that can be a beautiful way to make a difference as a physician. However, providing the kind of care offered from a medical practice requires the entire team. When you provide effective leadership (whatever your role in the practice may be) you expand your influence by supporting the entire staff in being a cohesive team, leveraging and increasing the benefits for your patients. Within the medical field, those in an official leadership position often end up operating in a monocratic fashion instead of allowing a more inclusive system of productivity. This not only inhibits the functionality of the entire organization, it also limits the possibility for each person on the team to thrive, including the leader. 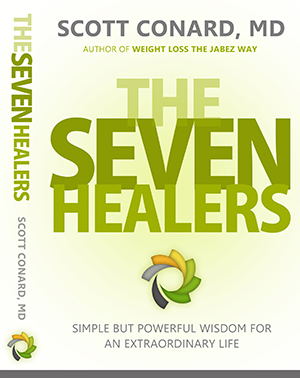 Currently Scott is Chief Medical Officer of ACAP Health and Holmes Murphy and Associates. He possesses over two decades of experience as a medical doctor, business executive, physician leader and medical researcher. He is driven by a strong commitment to the transformation of healthcare into a patient oriented, physician directed, and accountable system with aligned incentives to insure that all stakeholders win. Prior to joining ACAP Health, he was Chief Medical and Strategic Officer of Medical Edge Healthcare Group, PA, a leading group of over 500 dedicated clinicians caring for patients in North Carolina, Nevada and Texas. A Clinical Associate Professor at University of Texas Health Science Center Dallas for over 20 years, he has been a principle investigator in over 50 clinical trials, authored numerous articles, four books, and is a featured speaker and presenter on medical topics including diabetes and heart attack prevention, clinical care process improvement, and innovative strategies in health promotion and well-being. Scott holds a B.A. in Biology with minors in Chemistry and Philosophy from Florida State University, and an M.D. from University of South Florida. pages of Integral Leadership Review all that often—this whole vast industry of healthcare. You are representing the whole industry and all of the stakeholders in that industry as we talk today. Scott: I’m excited to be here. I can’t wait to start to share more of an integral conversation in the medical community that is so desperately searching for a context and a way to act and move into through healthcare transformation. Russ: You’ve been a medical doctor for how long now? been seeing patients ever since. Russ: And it is my understanding that in addition to having your private practice you’ve also served in what we might call administrative or management positions in health care. Is that correct? Scott: As important as having a strong knowledge base in medicine is having an effective process to work in to create the desired outcome consistently. This becomes most evident as a medical practice grows flaws become evident. As this occurred I found myself being pulled more and more into managing and leading these efforts. Russ: What were some of the kinds of challenges you were running into as a manager and executive in this growing practice? Scott: First of all I was well trained in medicine but undertrained in leadership, management, and systems development. If you go to a medical school you are taught to be an independent thinker who is able to take in a large amount of information, look for trends and clues to reveal what could pull it all together, like an infection, a cancer, or disease. I well trained in this approach. I graduated from training as a very competent technician, but I was not trained, or competent as a leader or manager, and I didn’t have the knowledge to run a corporation successfully. My medical training was just the beginning. Scott: Absolutely! Accrual accounting, finance, human resource management, contract negotiation, compensation plans in the setting of continual growth and changing economic times provided many interesting lessons, not always positive ones. A primary care medical practice is a very low margin in business, there isn’t a lot of room for error. Another example is that in the last 20 years the technology used has changed dramatically; to keep up, you have to make significant capital investments. For example in 2001 we went to electronic medical records; that was a $250,000 event to purchase the system with additional costs for training, ongoing fees, and systems maintenance. At the same time we opened three other offices with leasing, insurance, and many contracts to negotiate. Personnel and EEOC issues had to be managed, including all of the different aspects of payroll, benefits and employment law. So there was a world of things that I had no formal training in that had to be understood and managed on a daily basis. One of the things I learned quickly was that we, as a group of physicians, fail to appreciate that while we are going through medical school, residency and setting up our practice, our business associates are going through their education on business, putting it on the ground and practicing it. So when we both wake up and we are 28 (or 31) years old, while we are very competent medical technicians, we are not trained and seasoned in business. Ten years later, we are actually where they were at 28 years old, at the beginning of the conversation. I don’t think as physicians we appreciate how far behind we are in business when we leave our training relative to our peers. Russ: A lot of that has to do with business management, technical management of an organization, of the business. What about the human side? Were you finding yourself challenged in managing people as well? Scott: You know when we look at this from an integral lens and we really think about the internal landscape of our personal emotions, as well as the group internal landscape—the cultures, beliefs, and values—these were not a part of my thinking early in my career. I was very much in the metric side the external, easier to measure spectrum—blood pressure, cholesterol, weight, and other vital signs related to an individual. At a corporate level it was how many patients are seeing, how much money has that generated, and what are our costs. Russ: When you recognized that these things were going on, what was your response? How did you approach it? Scott: My wife, Susan, helped me out. She had managed large teams during her career at the Marriott Corporation. She was in charge of opening the Marriott Courtyard products in California. She was very capable. When she saw me struggling she shared a more effective, more integral, balanced approach to management. I realized there was a whole science to this approach I could tap into and learn. We went looking for training and development programs. I had started an MBA program in my residency, gotten half way through and had a bunch of courses in front of me like statistics, macroeconomics, and computer science—courses not relevant to what I perceived as business management. So I didn’t want to go through the rest of my MBA thinking it would be another two years and I felt most of it was irrelevant. In 2005 we found the Stagen Institute and I took their introduction to leadership program or Integral Leadership Program. Russ: Some of our readers will be familiar with the Stagen programs, things that have been published here and other sources. Some will not. I’m wondering what was it about the Stagen program that attracted you, rather than some other program offered by another resource? Russ: Let’s stay with this for a moment, because here’s an opportunity to get up close and personal, if you will. Stop me if you don’t want to. You’re suggesting that in this year-long program that you went through with Stagen—I’m guessing you’ve been involved with it beyond that first year—that you were confronting yourself, you were discovering yourself, you were evolving yourself. Could you tell us a little bit about that? church, and another in certain social settings; and they are not consistent. One of the things that was very clear to me is that when I put on my doctor persona and went to work I was not the same person that I was at home in the evening, and I wasn’t the same person at social or church activities. Through the training at Stagen this disintegrated way of being, this lack of integrity, was revealed and to me, and was unacceptable. Understanding and studying an integral approach, adapting and changing through time, both individually and collectively was very interesting and provocative. Applying this to leadership, management and transformation initially didn’t seem possible. Watching Rand and others who had developed and gone through the program revealed their ability to take all the “toys on the table” that didn’t seem to be related, put them together, view them from a different perspectives, and understand how they relate and are part of a larger whole. A frame of reference was developed in that first year of the ILP that provides a solid base from which to grow. Without initially realizing it, I was looking for a way to integrate myself and the worlds in which I was immersed: medical leadership, business development, personnel management, medical practice, parenting, marriage, spirituality, and community involvement. All needed to come together to become an effective human being. That’s really what the Stagen introduction to leadership program based, on integral philosophy, was successful in delivering to me. Russ: When I look at what I’ve learned about that program in the last couple of years, what comes up for me is that the strength of that first year is that it introduces and works with you around adopting a set of practices. Some of them are skill like, but they are practices. They are things that you do everyday. You are supported in doing those things over that period of time that you are in the program and beyond in some cases. I wonder if that resonates with your experience? Scott: It does! Initially I had to take it on faith from others I knew who had gone through it, who were very successful. It took discipline to institute practices that initially seemed irrelevant, like game filming, which eventually became habits that accelerated personal growth dramatically. During the course there were 100s of “Aha!” moments that over time led to a profound transformation in my understanding and in the ability to take ideas and opportunitiesandbringthemintoreality.Aftersevenyears Ibothappreciatehow little I know, and how much more successful as a leader I have become. The training I’d had as a medical doctor, very focused on being a knower, had expanded to include a broader integral perspective, that of a learner, committed to working with others to achieve shared goals and objectives; bringing my experience and knowledge to combine with the others on the team to create outcomes that none of us could have created on our own. Russ: It would be fascinating to hear a story about one of those moments. Is there one you’d be willing to share? Scott: Surprisingly what is being called for in medicine is a similar transformation. For example, medicine has an initiative right now in primary care called the patient center medical home. The focus shifts from maximizing the experience for the doctor to putting the patient in the center of health care. It focuses on them being empowered and active in their own health and wellbeing. What becomes obvious is that an individual doctor cannot deliver patient centered care; it takes a team. In fact, just as we were taught in medical training, we learn the most from people one step ahead of us and one step behind us, not from the gurus. For chronic and lifestyle disease management, the doctor does not need to provide the majority of care. The office staff, other patients, people who are younger in their training, all have more to offer the patients in many ways than the doctor. For me it has been literarily a complete reversal of my perception of the role of who I am as a physician, manager, and a leader. 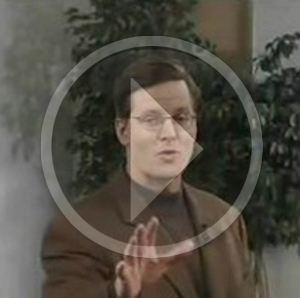 Russ: Being a learner is one of the very first lessons in the program, if I’m not mistaken. You know one of the things that emerges, too, as I listen to you is that it is not all about you. It sounds like your growth and development had to do not just with your own learning about yourself, but also about the cultural and the structural environment that you are working in. I imagine that’s what’s really critical for you now. As you are moving forward in your work in healthcare, how is all of this relevant to the field of healthcare, to the field of medical practice and what are some of the things you’d like to see happen? Scott: Surprisingly what is being called for in medicine is a similar transformation. For example, medicine has an initiative right now in primary care called the patient center medical home. The focus shifts from maximizing the experience for the doctor to putting the patient in the center of health care. It focuses on them being empowered and active in their own health and wellbeing. What becomes obvious is that an individual doctor cannot deliver patient centered care; it takes a team. In fact, just as we were taught in medical training, we learn the most from people one step ahead of us and one step behind us, not from the gurus. For chronic and lifestyle disease management, the doctor does not need to provide the majority of care. The office staff, other patients, people who are younger in their training, all have more to offer the patients in many ways than the doctor. For me it has been literally a complete reversal of my perception of the role of who I am as a physician, manager, and a leader. Russ: Being a team is about the medical practice aspects of teamwork, is that right? Scott: A team starts with the patient. In the primary care model that we’re moving toward the patient is the “leader” of the team, because it is their health. Health care providers can’t sleep, eat, exercise, or take medications, nor can we get a pap smear, mammogram, colonoscopy, or an annual physical. All of the things that lead to prevention or early recognition of disease reside with the patient acting when they are not having symptoms. Therefore to be successful in living a healthy life, a person must have some sense of the life they want to live, and start to take the necessary actions to insure it occurs. Later, as they encounter diseases and disorders and they need to navigate the medical system successfully they will have an established relationship with their primary care or specialist team, but it all starts with the person taking responsibility and engaging with the team. Our job becomes providing the education, resources and support to engage, encourage and support them as they go through the health care experience. The nurse, receptionist, and telephone answering team often have the most time interacting with the patient and are the lowest cost employees. In an effective team they are the ones who are charged with reaching out and encouraging the patients to stay engaged, to keep coming back, even they may “feel fine” when it is appropriate for additional screening or care. Then the nurses, physician’s assistant, nurse practitioners, and doctors shift their focus from forcing patients into the “peg,” an office visit, to “let us bring medicine to you in the most convenient and least expensive way possible.” They practice medicine one on one with the patient in person or on the phone, or asynchronously with the person through the web or internet. 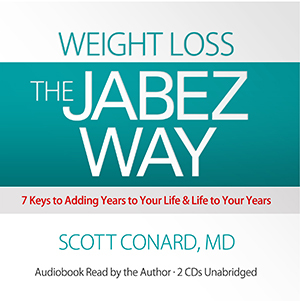 The end goal is to answer the question “ how do we help people live longer better lives and utilize our knowledge in medicine today,” regardless of whether we are pulling knowledge from other medical traditions, using drugs or supplements, suggesting surgery or conservative management. When we liberate ourselves from a traditions’ dogma and focus on the outcome for the patient —honoring the patients desire to live a healthy, successful life in a manner consistent with the patient’s values. This shift in perspective leads to a shift in management, leadership and a redesign of the system. Russ: What has to happen in the larger system, in healthcare—whether we are talking at the level of a medical complex, medical practices such as you created and managed and led—or whether we are talking about even larger scales systems? How do we get there from here? Scott: The change is already occurring. It’s not will we fix the system, it’s how will we? The key is to ask the right question. The current question the system is asking is how do we increase the volume of care we provide to increase our revenue? At times this is leading to unnecessary and costly care. The emerging question is “how do we provide the highest value care?” To answer this question the system evolves to a much more functional solution. In the new system the doctor centric, dogmatic system evolves to one that is much more conscious of the patient, the community, and the country, from how do I treat illness to how do we create health and wellbeing? This transformation, from doctor centric to a more comprehensive perspective is happening in medicine right now. The question shifts from how do I drive volume to how do I create value? Value in this context requires an integral perspective. Upper right quadrant questions that medicine has been focused on like blood pressure, cholesterol, blood sugar, or the amount of heart disease in a person’s body or plaque must be considered in the context of the upper left quadrant—how does this occur in the context of the individual patients values and beliefs, and the bottom quadrants, how does this fit in our culture and how successful is the system in caring for our communities and our country’s health—from a health and wellness and a financial and % of our GDP perspective. As a system we currently are straddling the fence with feet on both side of the fence, so it’s a bit uncomfortable, but the movement is gaining momentum. For example, hospitals today account for 1% of the patient visits but drive 50 to 60% of the cost. Today their boards are asking, “How do we maximize shareholder value and make as much money as we can?” over time this is evolving to “how do we maximize stakeholders value?” Stakeholders include the community, primary care physicians, employers, employees, other vendors, and society. When they take on honoring their shareholders, being successful on a system level, the modern hospital system, a financially and quantity oriented institution is beginning the process of evolving into a value based institution. Many examples of this are beginning to emerge. For example, when the focus shifts to creating high value—that is quality, safety and service divided by cost—we see the hospital hip surgery complication rates drop from 26% to 8%. So when the system asks the question. “How do we demand and receive value?” instead of “How do we pay for volume, regardless of quality?” we get a different answer, an answer that over the long term will lead to tremendous improvement of our system. Russ: Given the integral perspective you have, how do you see the role of not only the hospitals, but also the insurance companies and state and federal governments in this process? What do they need to be doing? Scott: This is an important issue. In the current system, the more money that is spent on healthcare, the more money the insurance companies make. The hospitals, the healthcare providers, the specialists all get paid on how much is spent on healthcare. We have a system that is designed to produce what we’re getting today—increased volume and cost of healthcare—because the majority of the stakeholders are incented to bill and collect more money. So what has to occur to fix the problem? The stakeholder with the most power who is funding the system, the employers, must demand change. I don’t know that the federal government can drive this change given the fact that they are elected by and have very powerful lobbies who do not want the system to change, and are making a tremendous amount of money in the current system. The three big shareholders that are losing in the current system are the employers, the employees and the primary care doctors. In fact, primary care medicine, vital to the success of the system is struggling to attract graduates from medical school who prefer higher paying specialist positions. Employees are having more and more of the financial burden shifted onto them; medical bankruptcies have been going up steadily. The employers can’t be competitive internationally, in part because of these costs. Ironically, the employers are funding this misguided adventure and have the power but are not organized and using their might. Initially they hoped the insurance companies would solve the problem, they now hope the government will, but this is not working and so what the employers are getting fed up and mobilizing their power. They are starting to say. “I’m going to pay for value not volume in medicine, just as I do in every other portion of my business.” They are going to the market place and defining the value they want to pay for. For example, there is a website at www.openhealthmarket.net where employers say, “This is what I want to pay for. Who wants to provide it for me?” Then, the physician community can say, “We do!” directly to the employer. Now we have a group of employers saying we want to pay for value, and groups of providers saying we will provide you the value you desire. The insurance company continues to be involved, but now they are facilitating and strengthening the value based service that has been agreed to. This is not just theory. It is happening today in north Texas where hospitals and doctors are working together with employers who have articulated the value they want to receive. It is early in the process, but trends where, right now, in it’s early state but 8 to 15% reductions in the cost of care for these employers are emerging. Over the next three to five years the handwriting is on the wall that those decreases in costs for the employers, will be continue to increase, possibly as high as 30 to 50%. This change was inevitable. In Dallas-Fort Worth care is up to 30% more expensive than Seattle, but the quality of care in Seattle is better. If you go to Seattle and evaluate the best physician group they are 25 to 30% less expensive than other groups in Seattle. So when you compare the highest quality from a value perspective—care in Seattle vs. Dallas-Fort Worth—it is literarily 50% less expensive and significantly more effective. From a national perspective we know what to do. We know that focusing on high value is where we have to put our energy, now it’s the employers are beginning to drive these changes successfully. Russ: Not only do you seem very clear and determined on this, but you also sound a bit optimistic. Is that right? Scott: I love what I’m seeing today, the medical community and the physicians are beginning to ask, and answer, much better questions. Questions that raise the consciousness of the community, take a four-quadrant view, and are transforming the system. If you look back at the literature seven years ago for discussion about healthcare transformation, value-based healthcare, or integral healthcare it was hard to find. Today many articles and books are being published on these topics, and national organizations that are committed to finding ways to create success in these areas. Russ: What do you see as the contribution that the integral perspective, the integral philosophy, the methods associated with the integral, can contribute to this? Scott: The integral perspective informs and allows the medical community to understand what it’s doing from a new, more comprehensive perspective that allows it to take the complex, synthesize it, and integrate it, in a way that it can be articulated more effectively for the employer. Integral theory informs the employer community with a more accurate understanding of their role and their power in the system from a more integrated comprehensive four quadrant view of what they are buying. With this more conscious perspective it allows the stakeholders, in a less defensive, less reactive fashion to take a proactive problem solving approach to increase communication and find solutions. So, for me, the integral frame has been the key unlocking move out of a disintegrated, low integrity approach where stakeholders try to force their view in an unconscious fashion on the other side to a more informed, high integrity, comprehensive approach that includes all of the stakeholders and leads to long term solutions. Russ: We’ll see increasingly conscious medicine occurring in an increasingly conscious culture, with increasingly conscious business and individuals. Scott: And then we all will win as stakeholders, including our country. Russ: Fantastic! Scott, is there anything I haven’t asked you that wish I had? 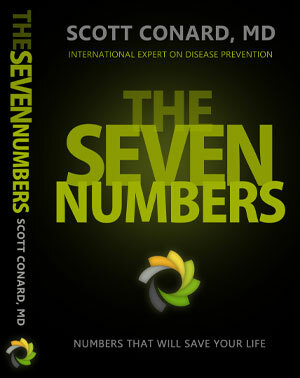 Scott: The final thing that I would like to do is encourage the medical community to embrace an integral perspective. By redirecting the underlying commitment that healthcare providers in our current healthcare system have from a defensive, entrenched, and stubborn perspective to a more collegial, shareholder based perspective, working through the barriers—their ability to laugh, enjoy the process, and to see the beauty of it emerges. What I see in so many of my peers in medicine today is that they don’t see a solution. They don’t see where a place to go forward that works for them. They can’t connect the dots, because, from their perspective, a tenable solution is unlikely. It’s a gloomy, scary, negative place to be. I would like to reassure them that the answer is there, it is emerging and the quicker they can get to an integral mindset, the less the suffering and discomfort they experience. The quicker we can evolve the questions we are asking, raise the level of consciousness, view things from a more integral perspective, and focus on serving all stakeholders, the more fun we are going to have in this process and the more we are going to see an acceptable, informed solution arise. This will ultimately allow us all to enjoy our lives more, while setting a strong foundation for future generations—effort well spent both for ourselves and for the generations that follow. Russ: Scott, thank you. Your vision is a thing of beauty. If you haven’t heard by now, fish oil is one of the most recommended nutritional supplements by doctors and health experts. Fish oils contain omega-3 fatty acids, something that many people do not get enough of in their diet. Fish oil has shown to treat heart disease, one of today’s biggest killers, as well as arthritis, and vision problems. If you haven’t talked with your doctor about this valuable supplement you probably should. The advice could be valuable since price ranges and dosages vary quite a bit from product to product. Diabetes Alert Dogs Can Smell Low Sugar Levels! In today’s world of high technology you probably expect to hear about new technical devices that can alert type 1 diabetes sufferers to dangerous drops in glucose levels but dogs? Well, according to a recent article on dogspired.com that’s exactly what a couple companies are working on. Apparently, a dogs smell can be so sensitive that it can actually smell a person’s blood glucose level. According to Eli Lilly and Company, after a study in which a specially trained dog was paired with a person with type 1 diabetes the results demonstrated that the dog was able to consistently detect when glucose levels dropped significantly as well as convey a warning to the individual. How’s that for mans best friend! The American Diabetes Association is taking steps to stop diabetes. According to them a staggering “25 percent of Americans who have type 2 diabetes don’t even know they have it?” So please join the movement to stop the diabetes epidemic. They have created a quick test that only takes a minute to complete that evaluates your risk level. Please take it today! Don’t let diabetes destroy your future act now! If you work in the medical industry it is time to invest in yourself. Literally a fortune will be made by those bringing modern day business and management technology from other industries to medicine. Our antiquated and broken health care system will be overhauled, and those that have the skills to foster and hasten this transformation will be in the driver’s seat in the future. If you are a person who values their time, consider an alternative to the traditional MBA program. Modern technology and learning methods have arrived at the Stagen Introduction to Leadership Program (ILP). A unique blend of relevant, compelling, actionable theory coupled with self-evaluation and insight into one’s motivation, provides the formula for breaking through the glass ceiling we all erect for ourselves. “You will get the company you are ready to manage” refocuses on the issues that will truly propel your career and allow for greater relevance, impact, and success. The time is now to train and develop the next generation of leaders in medicine. Do yourself a favor and focus on what matters. 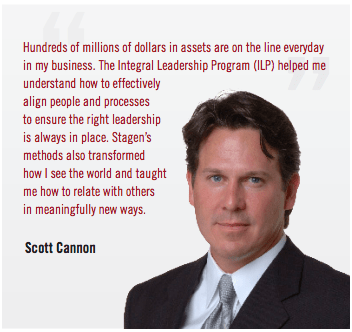 Consider the Stagen ILP (www.stagen.com/applications) to accelerate your personal transformation, influence and relevance. How To Make Exercise Fun With New Technology! Whether you are trying to reduce your risk of developing serious diseases like diabetes or heart disease, or simply trying to drop a few pounds to fit in your favorite bathing suit, exercise is going to be essential. And if you are like most of us, anything that can make getting that exercise in more fun is a huge benefit. Fortunately, with advances in today’s technology we have more and more tools that can do just that. And one of today’s slickest fitness tools is a little piece of technology called “Fitbit”. Fitbit is basically a tiny high tech pedometer that not only can count your steps but your slightest movements as well. Fit bit tracks your steps in real time, so you can see how close you are to your goals as you go about your day. And unlike the pedometers of the past it can also monitor your sleep by detecting your slightest movements as you snooze. And if you think you are going to have to plug it into your computer to have to go through some frustrating syncing process to see your data think again. Fitbit conveniently uploads your data to your account on Fitbit.com whenever you are within 15 feet of it’s base station, which stays plugged into your computer (mac or PC). When it comes to the payoff, viewing all of your data in the form of useful charts and graphs, you just log in to your account at Fitbit.com and it’s all waiting for you. And to top it off you can log your workouts and meals with their free iPhone or Android app. Type 2 Diabetes Symptoms – Awareness Is Essential! It is also possible to have type 2 diabetes without experiencing the symptoms above so please be careful and schedule regular checkups with your doctor to prevent serious health conditions from arising! Remember, an ounce of prevention is worth a pound of cure! More and more people are accepting the fact that it is critical to eat a balanced diet of high quality foods in order to protect themselves from preventable diseases such as diabetes and heart disease. I’ll admit though, that once in the grocery store it can be a confusing task to select the right foods with so many different market labels staring you in the face. Labels such as Certified Naturally Grown, Cage-free, Non-GMO, and Animal Welfare Approved just to name a few. For those that need a little help deciphering these terms, here is a handy Green market glossary.